Electrical infrared heating of the office. Definitely, an employer who is counting on qualitative employees work, has to create the necessary working conditions at the working places. Heating of the office in this case is one of the priority issues, because comfort and cosines are beginning with heat. On the market of heating systems the wide variety of the equipments for connection of water, electrical and other types of heating is presented. Heating of the office premises can be arranged with the using of any of this system. However, before you finally stopping your choice at this or that equipment, you should consider such main points as presence or absence of the build-in heating system in room, effectiveness of the work, expected temperature, features of work of the company and other important characteristics that help define the appropriate to each concrete case heating system. Location of the office (in residantional house, hypermarket or separate building) should be considered, because it affects the level of heat loss. In order to choose the most advantageous heating variant, it is better to address to the specialists. Infrared heating of the office is suitable in the case if you need to create a flexible heating system, which is regulated under any preferences. Especially profitable installation of infrared office heating will be for rented premises, in facts electrical infrared heaters easily removed and installed in any other room. Infrared heating of the office premises allows to install unique temperature regime for each working zone and to heat direct furniture, objects and create comfortable atmosphere for man. 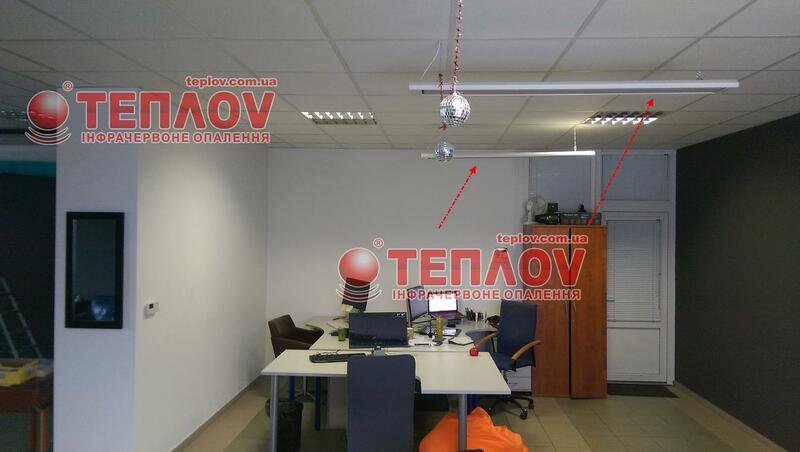 Electrical heating of the office with the help of equipment by TM Teplov from “Ukrprom” company is absolutely safe and ecologically-clean. European certification of our products let us to open representative offices in Europe and makes it available to residents of different European countries. Heating of the office in the Kaunas in Lithuania is an example of using infrared heaters TM Teplov for heating of such types premises. Area of the office is 78 sq. m on previous calculations of our specialists is demanded of installation of 6 heaters Teplov B1000. These infrared heaters from the domestic line of equipment as better as possible are suitable for office heating both with the existing however not effective build-in system system and for creation a heating system “from scratch”. With the help of infrared heating practically in any room at the correct situation and selected heaters power it’s possible to reduce heatlosses to 30-40%. It’s important indicator which differs infrared method of heating from other types of electrical heating. Certainly prevention of heatlosses allows to reduce costs on heating indeed warmth air are longer stayed in the room, that relive from necessity to increase the intense of heating. 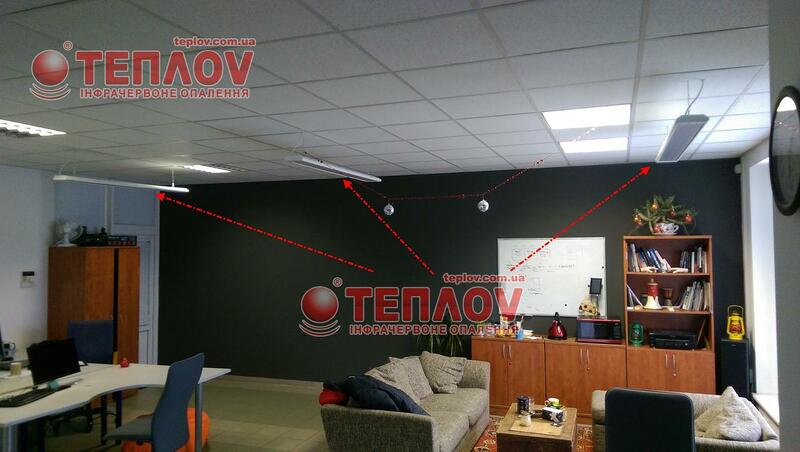 Electricalheating of the office with the using of infrared heaters Teplov becomes a pleasant finding for you because the IR-rays have a pleasant influence on man and effectively heat any premises. And using of Teplov equipment rescue from danger to face with defective and dangerous product.